Anastasia Nichita has received documents for her new apartment awarded by Moldovan government. PM Pavel Filip confirmed Wednesday on his Facebook page. "Nichita Anastasia received papers for her new home today. Two weeks ago when I handed her apartment key, I told her that government would continue support the good achievement of Moldovan citizens," quoted Pavel Filip confirmation. 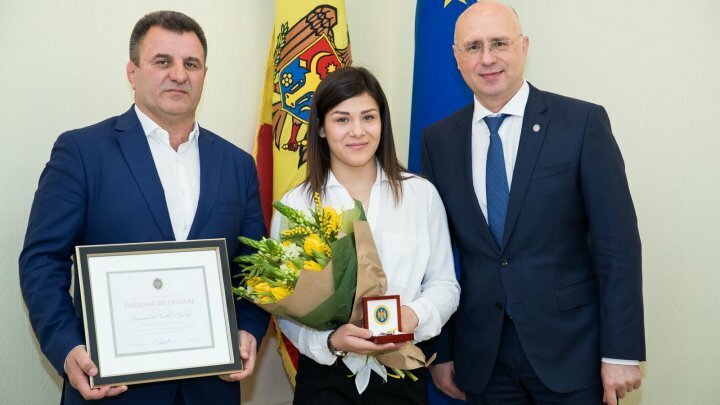 Moldovan government awarded fighter Nichita Anastasia an apartment for her remarkable results at World Championships and European Championship. Being 20 years old, she is nominated as the most promising fighter in Republic of Moldova. In March this year, she won gold medal at European Youth Championships in Novi Sad, Serbia. Last year, Nichita became the world champion of the free-style wrestling competition in Slovakia. In 12-2019, she was awarded title Talent of the Year 2018 by the Ministry of Education, Culture and Research. Increasing cases diagnosed with scarlet fever. What are symptoms of this disease?